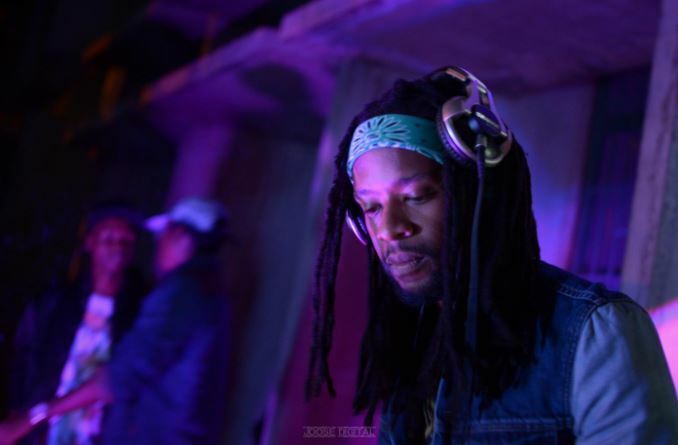 Ernest Wambari, popularly known as Jack Rooster, has been the man behind Afro House music show ‘Caffé Mocha’ for the last seven years. The mix show airs each Sunday on Homeboyz Radio. Jack is also an IT specialist, a music producer, a creative dire, tor and a student. He talked to Buzz on all matters involving his work. In your words, who is Jack Rooster? Jack is a student of life who strives to infuse love, joy and freedom into society through various works. I was born and raised in Nairobi and have spent most of my life living in Pangani. I have also lived in Rwanda for a portion of time. Where did the name Rooster come from? The rooster is a forward-thinking, disciplined, authoritative bird; all traits of which I admire and want to think I embody. What else do you do, apart from being a deejay and hosting your own show? I run an IT company that specialises in computer networks, IT security and future technologies. I also serve as a creative director at Homeboyz Radio, and I am a music producer signed to Decimal Records. Have you always wanted to be a deejay? I cannot say it’s something I’ve always wanted to do, but I can say at a certain point in my life I got interested in producing my own music; it seemed to be the best way to present my musical works to others. How long have you hosted ‘Caffé Mocha’ for? Describe your experience so far. Caffé Mocha has been on air 7 years now and it has been a great experience thus far. I have met many talented artistes and have learnt a lot about the music business through the exchanges I have had with each of them. I’m glad to have made great friendships and had enlightening experiences during my radio journey so far, and look forward to many more. On that note, how long does the production of a show take? The show consists of a live two-hour mix and preparation begins during the week when we collect the music to be aired. We then have a show prep prior to going on air and let things flow from there. How do you personally prepare for the show? I say a little prayer, align myself to the divine and let God do the rest. I see myself more as a conduit of the divine when I’m on the decks and on the mic. Music is energy. It could be good or bad depending on its effect on the psyche of the listener. Music drives culture, as well as determines the rate and direction of the society’s development. Aristotle is known to have said how music is key in forming one’s character. As such music, is an integral part of our lives. How would you describe your preferred type of music? Uplifting, melodic, positive, spiritual and groovy. I am pursuing a Bachelor of Arts in Communications from Daystar University, as well as a Bachelor of Science in Computer at the United States International University, Africa. How do you manage to balance work and school? It’s not a simple affair. Sometimes I wonder how things work out! (Laughs) But if I was to choose things that have helped, I would say eliminating time wasting activities like watching too much TV or idling about aimlessly, using a motorcycle to get around – which enables me to manoeuvre through traffic allowing me to save time – you know how crazy Nairobi traffic gets (Laughs); little things like these. My daily planner is also a handy tool that helps track my productivity. How old are your dreadlocks? I stopped shaving in 2008, so you do the math. I believe nature is a true unadulterated reflection of God and that inspires me a lot. So I enjoy long walks, hikes, that type of stuff. Life in general is a great source of inspiration as well. Who would you like to work with in future? At the top of my list would definitely be ‘underground’ talent from here in Kenya, but I also foresee a time when all these known and international acts will be coming to me for production services. What is your goal/direction as a deejay, producer and radio personality? As a deejay, I want to tour and perform in all the big stages internationally, seeing as I have already played in the East and South of Africa. I am also looking to venture out more and to collaborate with more artistes in the continent as well as abroad. Scoring music for film is also one of my aspirations. As a radio person, I want to churn out more cutting-edge and innovative radio programming and help grow a radio station through creative ideas. What challenges have you faced in the Kenyan media industry? The fact that electronic music is very niche and still new to the Kenyan audience has meant that I’ve had to persevere through rough club nights where club owners are not adventurous enough to try new things. However, with support from others in the #HouseMovement, we have slowly been able to educate the audience and now we can have themed shows where Electronic Music is played all night long. Other challenges include pitching ideas to radio stations, of which I am very fortunate to have the support of Homeboyz Radio, which is a very forward-thinking station that is not afraid to try new and cutting edge ways to appeal to the ever-changing audience.